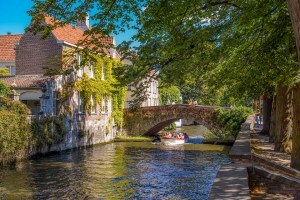 With a network of canals and cobbled streets that connect the various markets, the historic center is ideal for spending a day in Bruges. 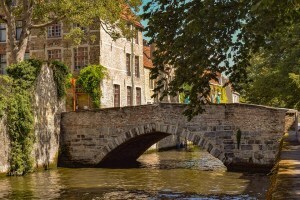 The medieval city is not only a feast for the camera of the tourists, but the many sights in Bruges make sure that everyone here has a nice time. This medieval tower has a chime of about 47 bells every hour. 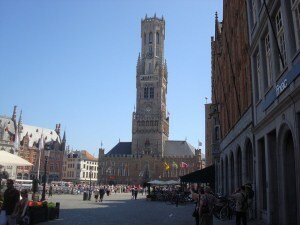 This city tower, which used to be used as a lookout, can be climbed for a fee and gives you a nice view of Bruges. It is a steep climb: you have to climb 366 steps before you can enjoy the view. On the Grand Square is a beautiful museum: the Historium. 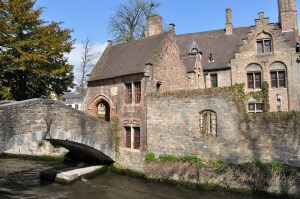 This historical museum takes you on an interactive way to Bruges in the Golden Age. The way they do that is so impressive, that you have the feeling of being there yourself. At the end of your visit you can drink a good pint in the Duvelorium or you can enjoy a beautiful view from the panorama terrace over the most beautiful square in Bruges. On the beautiful Burg is the Basilica of the Holy Blood. This Roman Catholic basilica is beautifully decorated inside. The most important part is the reliquary of the Holy Blood. Every year the relic forms the center of the Holy Blood Procession that is held at Ascension Day. This day it is very busy around and in the basilica. 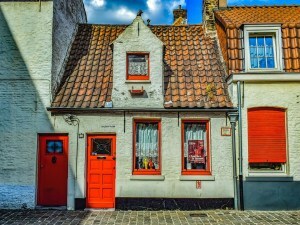 This Begijnhof consists mainly of white painted small houses from the 17th and 18th century. This court is only accessible via the Wijngaardbrug. At number 1 is a museum where you can see how they used to live in these houses around the 17th century. Nowadays there are sisters of the Order of St. Benedictus. It lies on a beautiful lake (Minnewater) where beautiful white swans swim around. 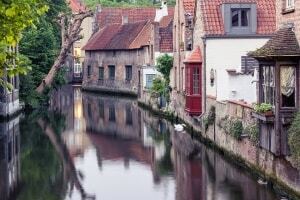 Bruges is also called the “Venice of the North”. This is due to the small channels (called Bruges canals) that run through the city with the most beautiful and romantic bridges. A cruise through these “veins” of Bruges, is therefore a very popular attraction. 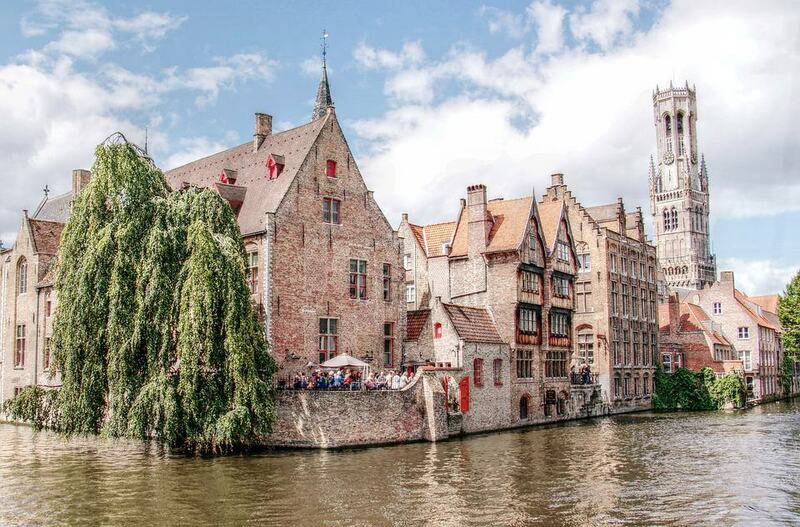 In a boat trip of about half an hour you can admire the most beautiful places of Bruges from a completely different side. Every day in five different places to step up from 10.00 to 18.00. This special name belongs to the family beer brewery of Bruges. Here the only real beer brewed in Bruges is made (Brugse Zot). This brewery on the Waldplein is located in the historic center of Bruges. In the beautiful building there is also a museum with the icing on the dessert, a panoramic view of Bruges. When asked what to do in Bruges there are several answers, but those who walk through the narrow streets of the city will encounter one chocolate shop after another. 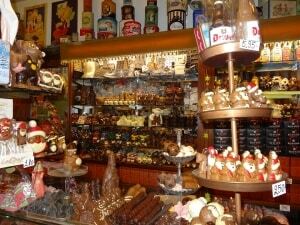 It is clear that Belgium is known for its chocolate. A reputation that is only too happy to exhibit at the Chocolate Museum. On the basis of a guided tour you will learn about the history of chocolate and how cocoa is processed into the delicacy we all know. From one delicacy to another. Belgium has more specialties than just chocolate. 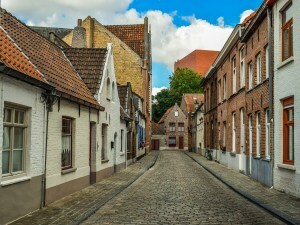 One of the activities in Bruges that you can do is visit the Frietmuseum. The Frietmuseum claims to be the first and only museum dedicated to Belgian fries. You will learn about the history of the crunchy delicacy, the bond with Belgium and of course you can also taste the fries! This is one of the activities in Bruges that you should not only do when it rains. The Sint-Janshospitaal in Bruges is one of the oldest surviving hospital buildings in Europe. Dating from the twelfth century, here sick people, pilgrims and travelers were cared for by the nuns and monks present. You can not only learn more about life in this hospital, but the old pharmacy and herb garden are certainly worth a visit. In addition, many works of art by one of the most famous painters of the Flemish Primitives can be admired here: Hans Memling. He lived and worked in Bruges during the fifteenth century. Every evening at dusk, a battalion of photographers plunges down the Rozenhoedkaai with tripods. Not surprising, because the view from this quay has not changed significantly for centuries. The Belfort, towers, stained-glass windows, stepped gables, weeping willows, bridge and quays … Everything is right, and with a bit of luck is also reflected in the Dijver. Great place to eat breakfast! Budget-friendly hostel set 800 m from the Market Square in Bruges. Close to most tourist attractions. 3 star superior hotel situated just behind the famous 13th-century Belfry and 50 m from the Central Market Square. 5 star superior hotel located in an unique 15th-century former ducal residence in Bruges and only 280 m from the Markt. Located in the cultural heart of Bruges, near the Market Square. The hotel is situated in a calm, traffic-free street. Electricity: The power plugs and sockets are of type E. The standard voltage is 230 volts AC, 50Hz. Currency: Euro (EUR; symbol €) = 100 cent. Notes are in denominations of £50, 20, 10 and 5. Coins are in denominations of €2 and 1, and 50, 20, 10, 5, 2 and 1 cent. Banks and ATMs: ATMs are freely available in the city centre. 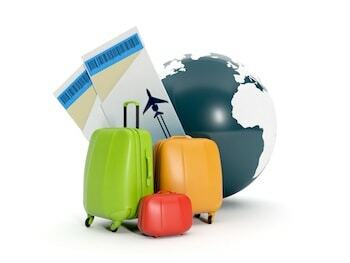 You can cash travellers cheques at banks and bureaux de change. Emergency numbers: Dial 112 for police, fire, or ambulance. 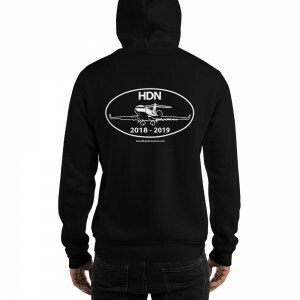 Be prepared to give the telephone number you’re calling from. Internet: There are internet cafés in the city centre. Most other cafés, restaurants and hotels public areas also offer Wi-Fi. Transport – Bruges is easily reachable by public transport. There is direct train from Antwerp, Ghent and Brussels. Bruges is not the terminus, look for trains going to Oostende or Blankenberge. Within the centre, city buses can bring you to every corner of the city. These are operated by the Flemish public transport company De Lijn. Allthough walking through Bruges will never feel tedious. Cycling is another great way to explore the city. 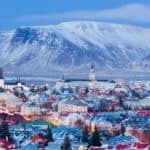 There are several rental shops in the city center and even some guided tours as well that will bring you to the top attractions in only a few hours. Belgium’s national dish is French fries which can be found in every restaurant, allthough the best place to eat it as at a ‘Frietkot’. January and February are generally the coldest months in Edinburgh, with the daytime maximum temperatures averaging around 5 °C (41 °F) to 7 °C (45 °F). July and August are normally the warmest months, with temperatures at an average 20 °C (68 °F). Water: Tap water is safe to drink and bottled water is widely available. Safety: Belgium is a safe country. 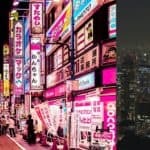 Violent crime is low, and most tourists will never be bothered by safety concerns other that petty crime. However, as in most European cities, pickpockets can be an issue in urban areas or at crowded events. Begging is not uncommon, but you will rarely experience aggressive beggars.